I’ve been selling dropshipped goods for so long it is hard for me to imagine people don’t know what it is. It’s been around forever in the US, and while never much talked about, I’d bet in other areas of the world, as well. From the traveling wagon peddlers and general store owners of the early American West to the English, Spanish, French and other traders in Africa and South America, there had to be dropshipping going on. Again, maybe not by that name, but the practice was the same. They were selling goods they did not have, to be delivered directly to their customer, the actual buyer. That’s it. In a nutshell, that describes dropshipping. You have probably bought dropshipped goods yourself and never given it a thought. Maybe at a local store, where they did not have the exact style, size or color you wanted. Ever so nicely, they arranged for you to pay in advance, with the promise to have the item delivered directly to your home, no need to come back and pick it up. You were just involved in a dropshipping transaction. I began selling dropshipped goods in the 1960’s. I was an outside salesman for the Firestone Tire and Rubber Company, calling on auto service stations and repair shops. I would be asked about getting the multi-part Repair Orders so I searched for a source. I found a company from Chicago, called the National Press, Inc. They had a catalog easily 1 and ½ inches thick with all sorts of business printing. I could sell it at whatever price I wanted, then mail in the order to them and they would print and ship direct to my customer. I did quite well with them, but they eventually failed to keep up with changes in the market and are now out of business. But that did not deter me, I soon found a replacement and use them to this day, not so much for ordering for others, but for my own use. I still have some customers who will order computer checks and similar items from me. I’m go through this to show that dropshipping is not a new and novel thing, it isn’t. What is new is the way it is being promoted on the Internet as the latest and greatest way to make money from home with no investment. That is partially true. While it’s not necessarily a new idea, it is a great way for folks with little or no capital or cash on hand to the get into sales. Keep in mind, this is not an “Internet Only” opportunity, either. Right now, in 2009, I sell printer cartridges, custom barcode labels, tools and other products to established off-line type customers. While we may now communicate over the net, it was not the net that got us together. 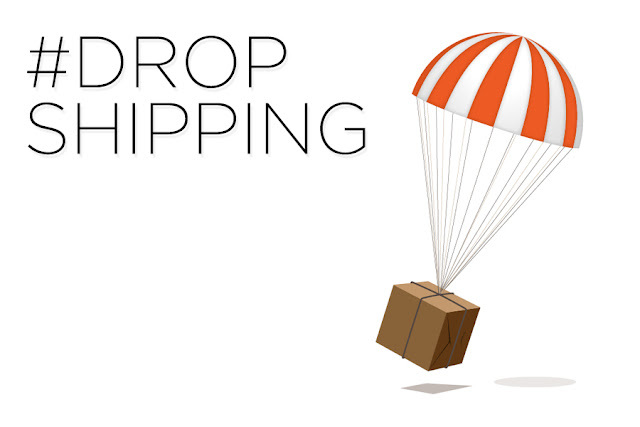 So, again, what is dropshipping, and why should you be interested? It does require a supplier who is willing to accept orders from you and send them out sort of in a “plain brown wrapper”. More specifically, the supplier must agree to send the goods as if they were shipped by you. They should use your name and address for the return address. If there is any packing slip included, it should have your contact information on it – definitely not theirs. This is referred to as “Blind Shipping”. If your source is not willing to do this, find another. Other than that, it’s pretty much up to you. Through a website, a catalog, a handful of samples, a home party, however, you get an order for the items. You also get paid at the time of the order. This gives you the funds with which to order from your supplier. Other than the cost of the samples, or maybe a small fee for a catalog or sales sheets, you have no investment at all. You collect at the time of sale and use part of that money to place the order. You have to be sure to include shipping costs when you make the sale, either as part of your price, or added at the end of the order. The balance is yours, free and clear. It sounds simple, and it is. You make a sale, you collect at the time, you use that money to place the order and the leftover is yours. 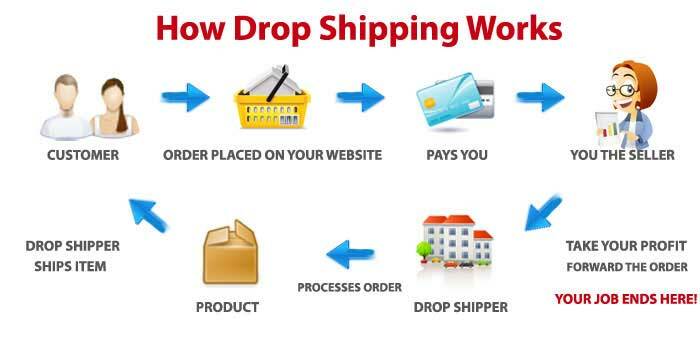 That is dropshipping in it’s basic form. Some large dropshipping companies will provide catalogs, order forms, all of the goodies needed for a home party type campaign, some will provide websites, most all will provide images you can use for your own website. Some offer online sales sheets to which you can add your contact information and pricing and then print on your computer’s printer. These are usually dedicated dropshippers, where if dropshipping is not their core business, it is a very important segment to them, not just an afterthought to pick up some spare sales. It you are intent on being in business for yourself and have limited resources, either capital or space for inventory, dropshipping can be a great first step to financial independence.